Matte finish in over 14 paint colours. 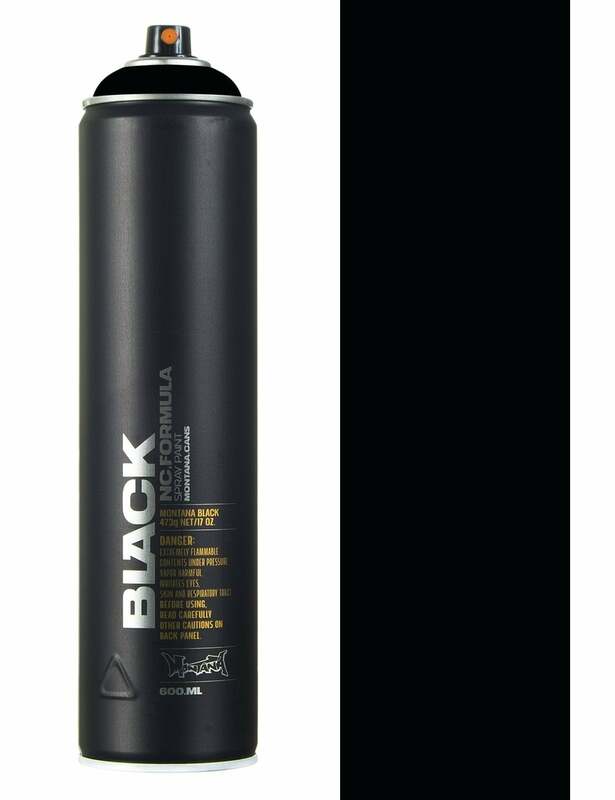 Montana BLACK 600ml cans are a matte finish spray paint that comes in 14 dynamic colours and can be applied to any surface. Due to its short drying time the paint can be re-applied in quick fashion and allow other colours to be used, the key is fast application and the high pressure valve helps artists get the work done quicker. You can mix the 600ml cans with the standard 400ml & 150ml cans, the 600ml cans can into their own when filling in large areas in a quick time, covering large areas are the main use for the 600ml cans, as the larger size make them a bit less useable than the 400ml or 150ml cans.